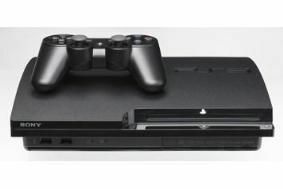 Sony PS3 to get ITV and Channel 4 catch-up TV | What Hi-Fi? The first commercial TV content is expected to be made available on the PS3 later this week, adding to the BBC service which launched on Sony's console last year. For ITV the deal marks a shift in strategy: previously the commercial broadcaster had been reluctant to offer ITV shows online via other companies' products and services. It rejected deals with YouTube and Hulu, the US on-demand service looking to launch in the UK. To date, ITV Player has only been available on Virgin Media and BT Vision, but will soon join Freesat. ITV chief executive Adam Crozier has now identified digital strategy as a crucial part of its recovery plan. Robin Pembroke, managing director of ITV.com, says the PS3 deal marks "an acceleration of our distribution strategy". He also expects to see shows such as Coronation Street and Emmerdale becoming available on internet-enabled TV sets, tablet computers and gaming consoles. Sony estimates that there are about four million PS3 consoles in the UK, and about 80 per cent of those are connected to a broadband network.